Just like people, horses can suffer from allergies. Allergies are an abnormal reaction to foreign substances (called allergens) by the immune system to which it has become hypersensitive. Most horses don’t show any reaction to these normally harmless substances; however, allergies can develop over time, without warning and with multiple or prolonged exposure to the irritant. A horse’s age, breed or gender are not normally factors that influence allergies; every horse has the potential to develop allergies during his life. When your horse comes in contact with an allergen, it triggers a set of reactions involving chemicals such as histamines and prostaglandins, which lead to inflammation and a corresponding “overreaction” by your horse’s immune system. With repeated exposure to the offending allergen, your horse will tend to show stronger reactions as he becomes hypersensitive. 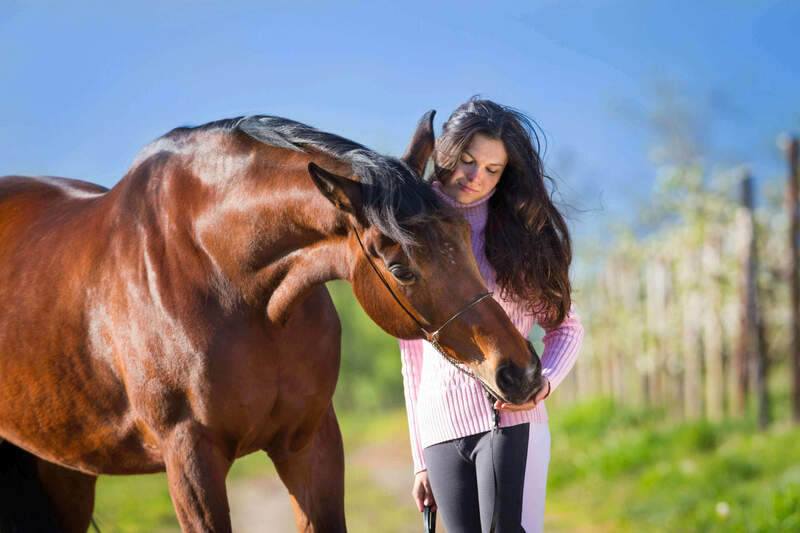 Allergic reactions in horses can be triggered by several things and manifested in various ways. The most common types of allergic reactions in horses show up in the skin or respiratory system. In the skin, you may notice your horse vigorously itching an area or overcome with hives. For a respiratory reaction, your horse may begin coughing, sneezing or wheezing, but without nasal discharge. A skin allergy, such as hives, is probably the most common allergic reaction seen in horses. Hives normally appear between 12-14 hours after the horse is exposed to the allergen, around the neck and shoulders initially, then moving to the rest of the body. The hives may be itchy and can manifest as lots of small or fewer, larger-sized bumps. Allergic reactions can be brought on by a variety of triggers: pollen, dust, mold, bedding, insect bites, application of a topical product or vaccinations. If you’re lucky, you will be able to notice a reaction developing after a new liniment or fly spray is used; however, the cause of a reaction is not always easy to determine. One of the most allergenic type of insect bites comes from midges, the Culicoides species of flies that are also known as “no-see-ums.” Hives are generally not pruritic (non-itchy), but the bites of no-see-ums make for very itchy areas with an associated rash, known as Sweet Itch. Some breeds of horses have higher sensitivities and are more likely to show allergic reactions to Culicoides than others. Icelandics, especially if they’ve been imported from Iceland and haven’t grown up with exposure to these flies, Welsh ponies and Shires may have dramatic reactions. If your horse is allergic to insect bites, the best defense is insect prevention. Start by using fly sheets, sprays and insect control management around your barn before fly season. You want sprays that repel insects and prevent the bites from occurring, and may need to change the time of day in which your horse has turnout. For example, dawn and dusk are big feeding times for most Culicoides, so an allergic horse should be indoors at those times. Encourage birds around the barn that eat these insects, and consider outfitting your barn with fans and screens to minimize insect exposure. Dealing with an allergic skin reaction varies with the type of reaction and its severity. Most cases of hives will go away on their own in a few hours and without any intervention. A cold hosing can help if you suspect the cause may be a contact reaction to a topical product, such as fly spray. An itchy reaction; however, needs more attention. Bathing with a shampoo that’s made to soothe itchy skin is a good option, followed by a corticosteroid spray, aloe or another ointment on the very itchy areas. Severe cases may benefit from antihistamine medications or a steroid injection given by your veterinarian. If the hives persist or are reoccurring with no apparent reason, your veterinarian can perform an intradermal skin test to identify the allergen. Depending on the test results, you horse may need hyposensitization treatments (similar to allergy shots) to help ward off the hives. Respiratory allergies are also common in horses, which has developed over time with domestication. Horses nowadays are typically stabled in barns with restrictive air flow, inhaling dust and excrement odors. Time out in the pasture or turnout is decreased and movement limited. All of these factors can potentially affect the immune system and allergic reactions can begin to occur. Respiratory allergies occur when a horse inhales an offending allergen – either from dusty or moldy hay or bedding or pollens in summer pastures. When your horse breathes in dust, molds or pollen, his immune response goes into overdrive, making it difficult for him to breathe. Be aware that your horse may be getting dust and mold from his feed. As he eats, he may stir up particles from the feed and inhale those allergens as well as consume them. Once again, prevention is ideal for respiratory allergies. Avoid dusty feeds, such as grains and hays, and always check hay for any sign of mold. Soak your hay in water before feeding to help eliminate any unwanted irritants. If you can, avoid storing hay above your horse’s stall because dust can filter down. Give your horse plenty of fresh air; remove him from his stall and keep him out in pasture as much as possible. You can also try changing the bedding to shavings or shredded paper to reduce possible irritants. If your horse still can’t stay healthy with the possible irritants removed, a secondary course of action may be needed, such as oral or injectable steroids. There are also some natural options that may help reduce inflammation: some horses respond well with acupuncture or you could try adding Vitamin C or any supplement with omega-3 fatty acids, like flaxseed. NOTE: A severe, life-threatening allergic reaction is called anaphylaxis. Fortunately, anaphylaxis is not common in horses; however, knowing the signs is important. 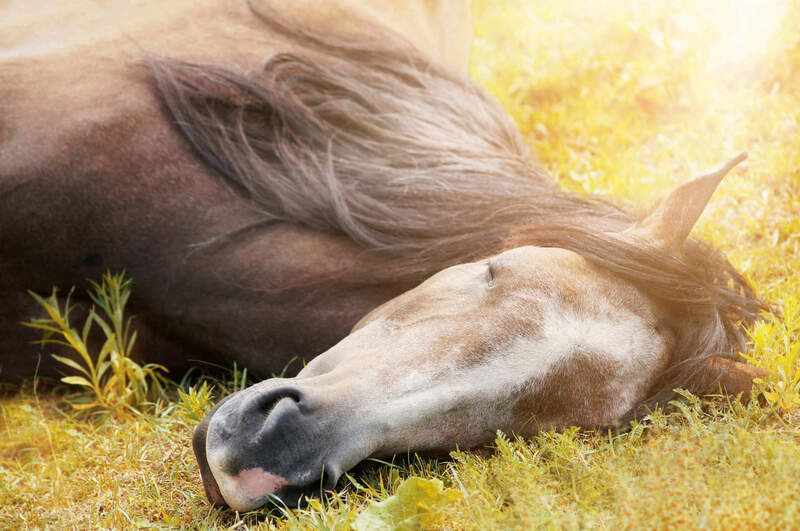 With anaphylaxis, horses show sweating, nervousness, trouble breathing and a severe drop in blood pressure, which can lead to collapse and death. Immediate veterinary attention is required. Allergies tend to get worse over time with repeated exposure. If you can detect allergies early on and go into prevention mode, you can minimize the effect of allergies on your horse’s health. Luckily many horses go through life without allergy problems – and hopefully your horse is one of them!